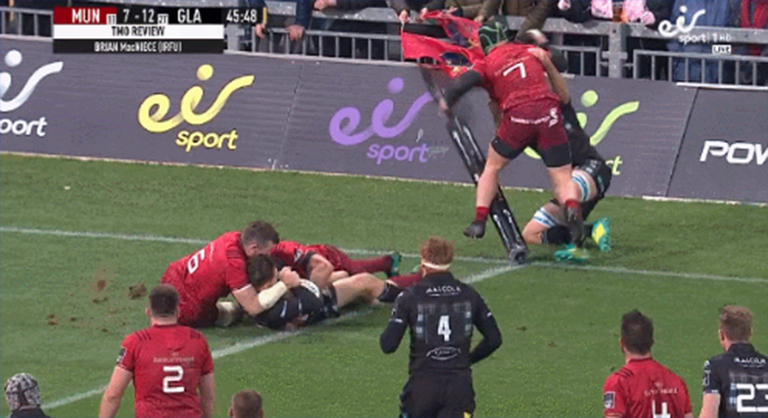 Rory Scannell may be the hero from Munster’s last-gasp win over Glasgow Warriors in Thomond Park last night, but Peter O’Mahony was the southern province’s Dark Knight. The Munster captain put on a absolute tour de force last night in a mammoth performance for the men in red. Had O’Mahony not been on the field, Munster would be waking up this morning empty handed, instead of waking up with a win in the bag. Not only did he prevent two certain tries (a brilliant tackle on Grigg with 43 minutes on the clock, and a try-saving touch on the line just two minutes later), he’s also responsible for giving Munster a chance at winning the game in the final moments. 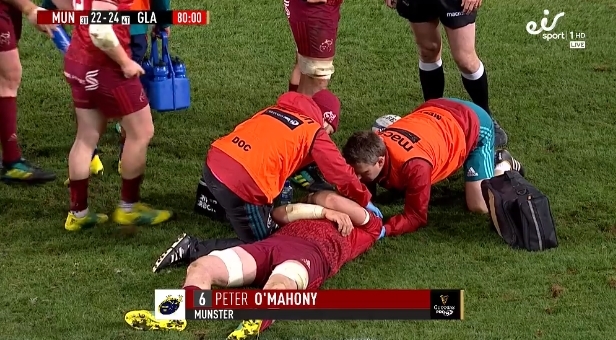 Despite taking two heavy blows in the game (he looked like he was going to have to come off early in the second-half), O’Mahony battled on and put his body on the line right until the end. Watch O’Mahony below as he wins the penalty Munster needed to win the game. He gets straight in over the ball and takes an absolute hammering from Glasgow as they try to clear him out. But he doesn’t give up and ends up down getting treatment for some time as a result. Battered and bruised, but simply will not give up. An absolute warrior in every sense. A captain that truly leads by example.